The Project shall be implemented under the rules of Committee. The members of the Committee shall be five (5) persons in total. Each organizer and co-organizer shall recommend one person as a member of the committee. The Committee of the Project shall have one (1) Chairperson and one (1) Secretary-general who shall chair a working group of administration. The Chairperson of the Committee shall be appointed according to the adoption of rotation system for a term of two (2) years. Within the last month of the term of office, members of the Committee shall co-elect the Chairperson for the next two (2) year term. The Committee shall establish a permanent position during the whole of the Project. This position will be named: Secretary-general. A specific person shall be appointed by the Committee, whose term of service shall have no limitation in principle. A-Tube’ space is a selection and evaluation of worldwide site-specific artworks created for the ‘A-Tube’ space of Shanghai Minsheng Art Museum. It aims to build and increase a global interdisciplinary exhibition platform for contemporary art, a laboratory for creative industry of contemporary urban culture, as well as provide an advanced, practice-led research environment to encourage and nurture multiple, international, community and diverse urban imaginations of contemporary art research practice, education and academic exchange. The spirit of the Project will emphasise a trans-disciplinary approach to include contemporary philosophy, analogue/digital new media technologies and the sciences (quantum physics, meta-mathematics for example). This transdisciplinary platform will emerge from and be conditioned by the perspective of art research and practice. At the 2018 Year 0 A-Tube event, a world-wide call for participation will formally be launched for Year 1. From 2019 onwards, the Project shall take place once every two (2) years. It is co-launched by Shanghai Minsheng Art Museum, China; China Academy of Art; the Foundation for Art and Creative Technology (FACT), Liverpool, UK; and the Mediations Bienniale Poznan, Poland. The Royal College of Art (RCA, London) will act in the capacity of advisor. These cultural institutions form the its Committee. The Project is committed to outreach in finding and nurturing international cutting-edge and innovative works. It will promote excellence in art through a participatory and inclusive approach both locally and globally. Future outreach may include research residencies at the Minsheng Art Museum, and possible workshops/conference/symposia at partnership sites when appropriate. The Project and the manner of its outreach shall be implemented under the decision-making of the Committee. The Project shall set up a panel of international jury members who shall have full responsibility of selection and evaluation of relevant submissions starting from Year 1 (2019). The international jury shall be made up of 5 judges recommended by the Committee for a term of two (2) years. By the end of the term, members of the Committee shall co-elect the jury of next edition. One (1) award In Year 0, to be given to the selected artist / event agreed by the Committee. This Artist / Event will have a budget of up to €30,000Euros. Two (2) awards in Year 1 onwards shortlisted artworks shall win the Prize of Nomination / Open Call Programme. Each of them shall be awarded a cash prize of €30,000 Euros or the RMB equivalent of this amount (currently, around 300,000 RMB) and be presented at A-Tube for 60 days. 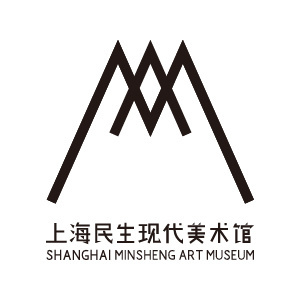 Detailed dates of exhibition shall be fixed according to the official exhibition timetable of Shanghai Minsheng Art Museum. Relevant judges who nominated the artworks shall become the curators of the exhibitions. The Committee shall also provide an opportunity of overseas exhibition with each award-winning artwork. Shortlisted artworks that fail to win the prizes shall be presented in other exhibition spaces at Shanghai Minsheng Art Museum. The exhibitions shall be curated by professional curators who are to be recommended by the working group of the Project. Artworks applying for the Project shall consist of two parts, either as Nomination and/or as Open Call Submission. Chinese and overseas artworks based on Nomination shall be nominated by members of the international jury; free / open call submission contributions shall be solicited on a global scale. Artworks applying for the Project shall be any type of new media art, including video art, installation art, sound art, performance art, interactive art, virtual art, moving image, lens based media and etcetera which shall also provide a sense of on-site experience with the audience. Proposals of the submissions shall be originally and only created in these two years. Ideas and creation of the applied artworks shall be fully considered with the actual size and spatial experience of the specific site – A Tube. Once selected as a shortlisted artwork, the relevant artist shall be responsible for communication with his/her/their dealer and/or collector if the artwork has already been represented or collected. If the proposal cannot be implemented due to the failure of negotiation, it shall be taken as the artist voluntarily relinquishes his/her/their award eligibility. No award winner shall replace his/her/their to-be-exhibited artwork without authorization. Any replacement of the to-be-exhibited artwork must be agreed by the jury. The jury shall reserve the right to refuse the request of replacement from the relevant award winner. Applicants shall make sure that the submitted artworks or proposals can be viewed completely. If there are any video materials involved, applicants must save the complete version by using such media as DVD and Blu-ray Disk. If there is a need for spatial construction, applicants must attach detailed description, visualized presentation as well as construction drawings of the artwork. Artworks of other kinds of format may be permitted, but this will shall depend on certain circumstances to be discussed with the Working Committee. All the submissions shall adapt their ways of presentation to the operability of setting up an exhibition at A-Tube.